My wife and I wanted to take a moment to comment on the incredible job that our Real Estate Agent did for us. We brought Bryan in as our Real Estate agent after having our house listed on the market for over 2 years. It was easy to tell from our initial conversation with him, that he was not only interested in making a sale, but also interested in our family and our needs. Bryan put in the extra work, from open houses to late night calls, and was able to sell our house for good market value within 3 months. Our second task for Bryan, was to find us our dream home within that same short period. He worked feverishly for us trying to meet our long checklists in areas that would be family friendly and once again he did not disappoint. Buying a house is an important decision and you need to have someone you can trust and depend on during that time. Bryan has the integrity and work ethics needed to get the job done, but also was interested and very caring towards my family and our needs. I would recommend Bryan to anyone out there and he will certainly be who I use going forward. It is with great pleasure that I recommend Bryan Hardy. My husband and I met Bryan when looking to purchase a home in Moncton, NB. Coming to New Brunswick from Ottawa, Ontario was a big change for us and Bryan made this transition and our home buying process, that much more pleasant and enjoyable. Bryan was always expedient in returning my calls/emails, searching for properties, and setting up tours. He is a hardworking, very dependable and a true professional, who answered any questions we had throughout the process. In all transactions, he was organized, thorough, and personable, with a great sense of humour! All these qualities are key in providing and accomplishing a positive outcome. I would not hesitate to recommend Bryan to anyone who is looking to buy or sell a home! It was a real delight to work with Bryan Hardy in the search of our first home. His advice, compassion and availability made the process go as smoothly for us as possible. We found a house that will really suit us for a long time to come. 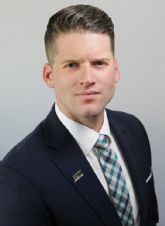 We will be happy to recommend Bryan to anyone seeking a great and professional real estate agent. We have bought/sold about 9 houses with a few agents. We were trying to sell our house in Moncton and were told that some people had their house on the market for 4 years. We met Bryan at an Open House and we were immediately struck by his energy. Once he signed on to sell our house he never rested. During his Open House he stopped cars in the street, knocked on doors and had incentives for people to drop in. The sale happened in 4 months. No other agent had Bryan's energy and drive. We'd highly recommend Bryan to anyone trying to sell their home in this highly challenging market. If anyone can sell your house, it will be Bryan.